It is with great shock and sadness that we announce the very sudden death on Wednesday 15th March of our beloved trustee Darren Cliff. As you can imagine all of us at Welfare are very lost at the moment and are trying to come to terms with what has happened. Our heartfelt thoughts and sympathies go out to his partner Simon, Darrens mother and brother at this shocking news. Please bear with us at this time. 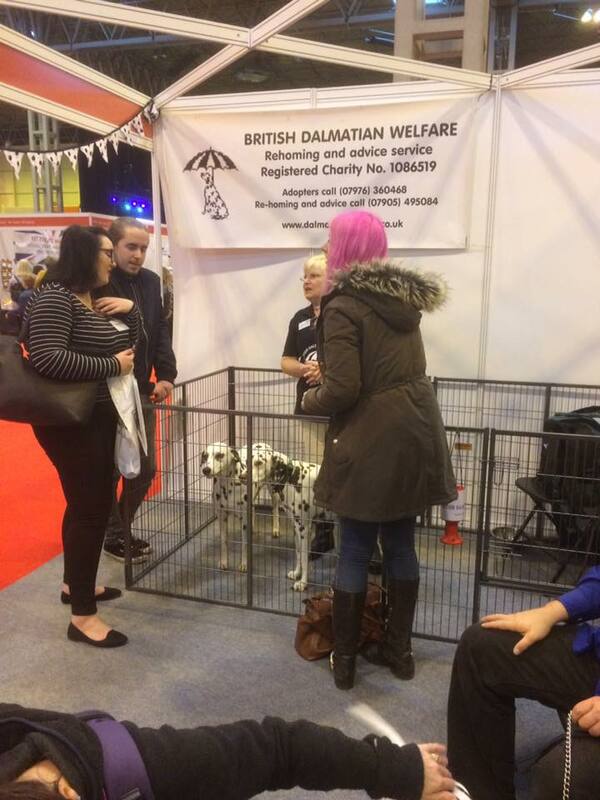 British Dalmatian Welfare once again had a stand in Hall 3 at Crufts NEC Birmingham on Friday 10th March. 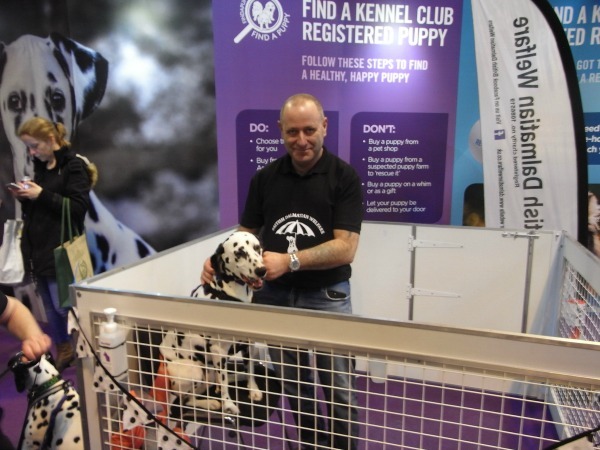 Located in the breed rescue area of the Kennel Club stand its location near the main entrance to the show ensures that the stand is busy for the whole day. Our amazing volunteers, some of whom had travelled from as far afield as Surrey and Kent joined our show stalwarts Paul, Karen, Mark and committee members to talk to the public about the work we do. 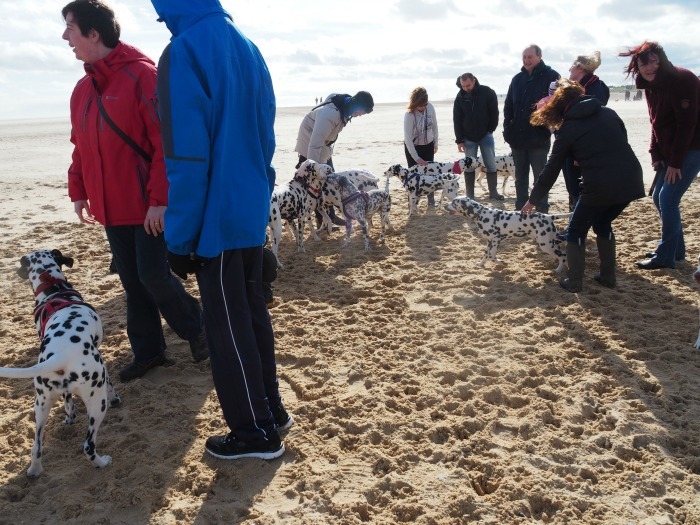 Dalmatians DJ, Kenzie, Marmite, Arlo, Wally, Lucy, Meg, Lola and Ava were of course the stars of the show. 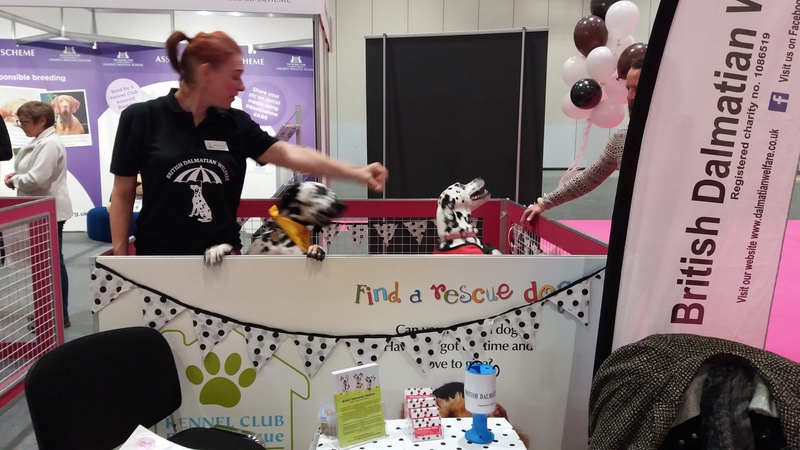 We are invited to the worlds biggest dog show by the Kennel Club who are committed to promoting breed club rescue. 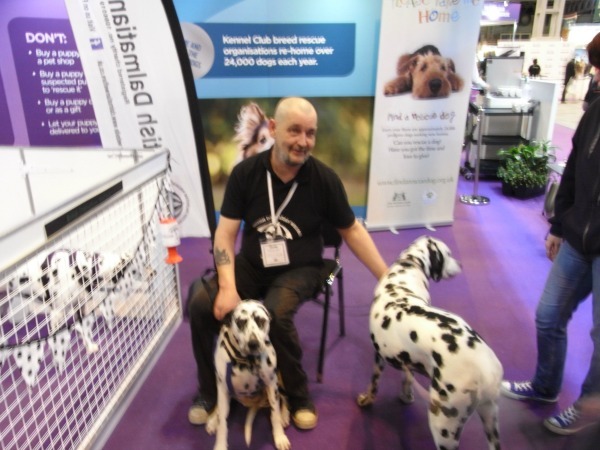 Along with Dalmatians we are able to talk to other breed rescue services and share ideas and good practice, we have forged links with some lovely people from Akita Rescue and Boston Terrier Rescue. We love to meet our volunteers and helpers and put names to telephone voices, please keep looking at our events page to see the next shows that we will be attending. Christine Breden Committee member coordinator and Trustee attended a dally rally was held on Sunday 26th February at Gorlestone beach near Gt Yarmouth. About twenty dogs were there for the morning. After a walk along the beach we then posed for pictures and went to the Doggy diner café where everyone can take their dogs into and have drinks and snacks etc. the dogs are given doggy biscuits free of charge – a good time was had by all the dogs were of course very good. 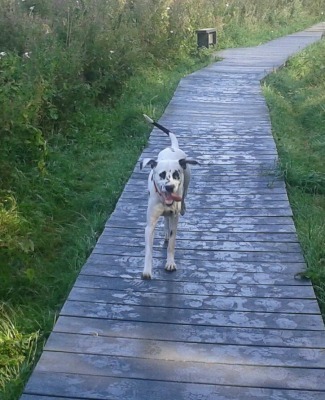 two-months-ago by Christine when she was re-homing coordinator. 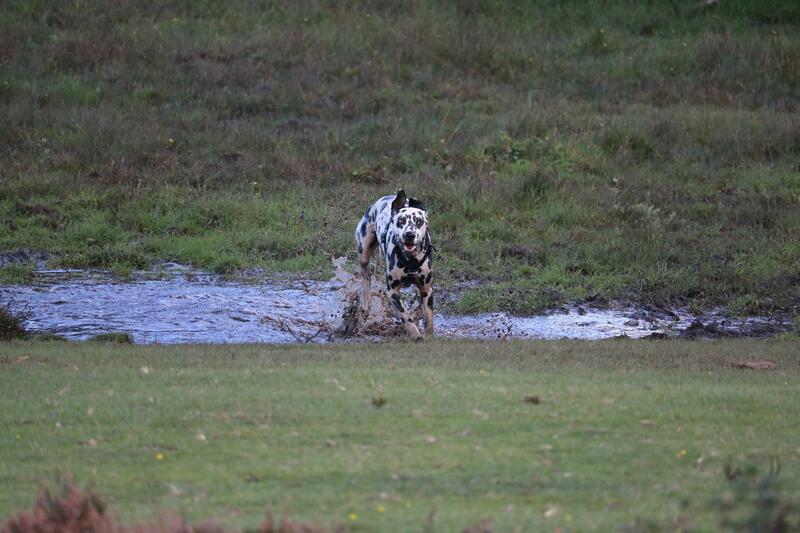 She is settling in well and the training they are doing with her is working well. 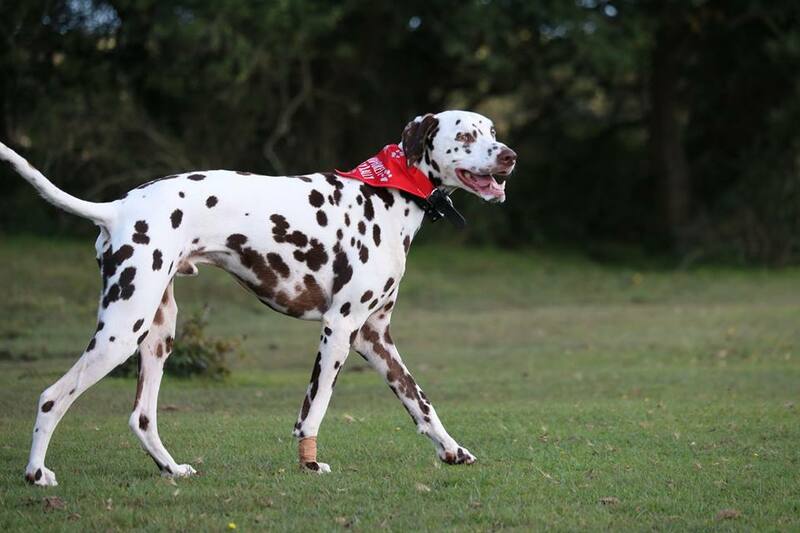 She came from Qatar and was brought over here by the person who rescued her and then was re-homed which did not work out, so her rescuers mother had her for a while and then they asked British Dalmatian Welfare to rehome her. 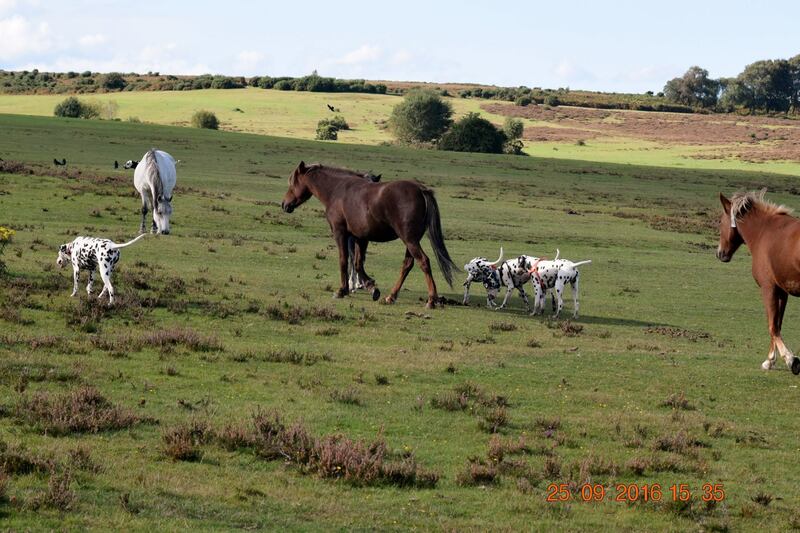 The second picture shows on the left the chap in the red coat with Roly (liver) who was rehomed by Darren Cliff and Simon Hipkiss when they were doing their summer stint as re-homing coordinators about a year ago. Christine Breden Co-ordinator and Trustee. 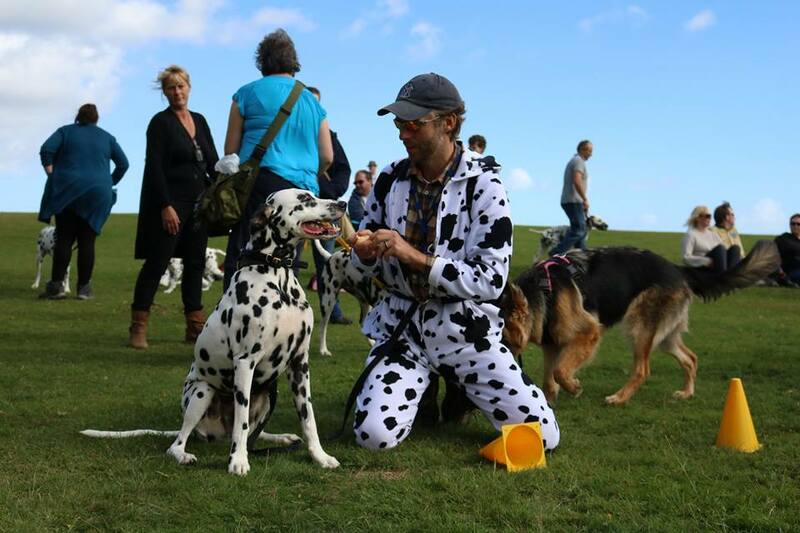 If you would like us to publicise your Dally rally or Dalmatian event please contact us via the contact us page or via our facebook page British Dalmatian Welfare. 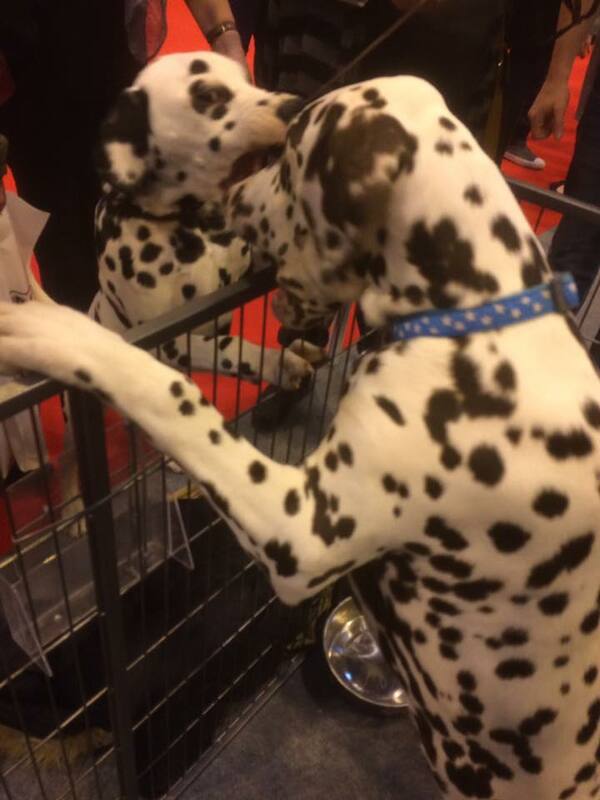 BDW at National Pet Show NEC Birmingham. 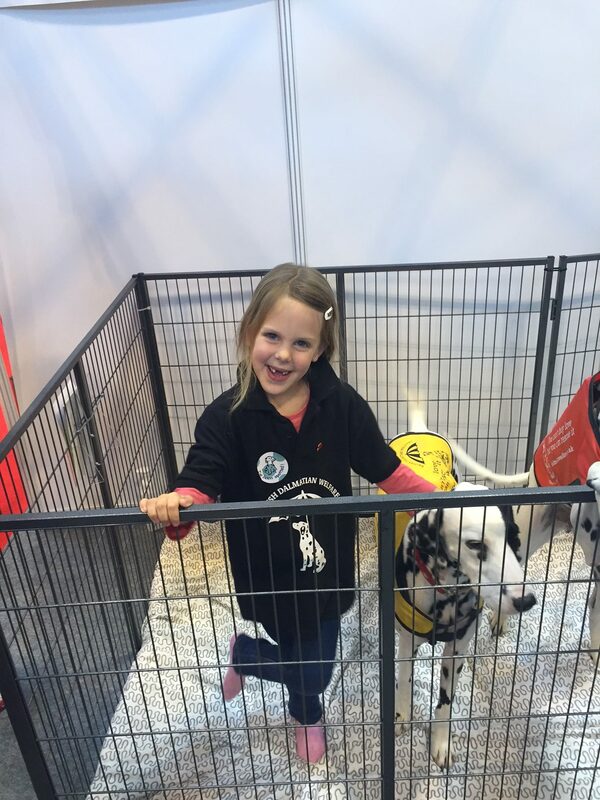 For the second year running we attended this busy show at Birmingham’s N.E.C. Held on both days Saturday 5th and Sunday 6th November 2016 we had quite a team of people to cover the “shifts” on both days. 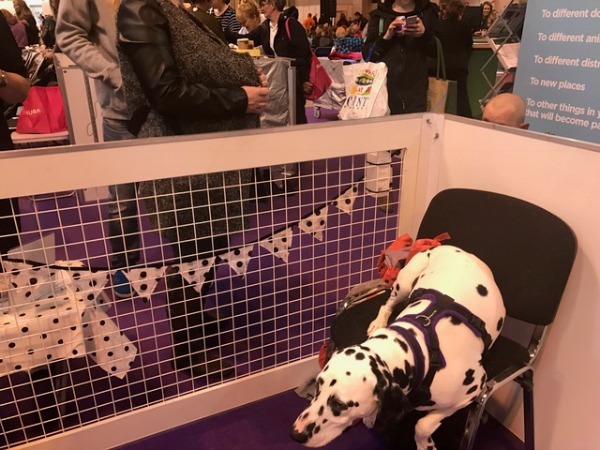 Saturday coincided with our parent organisation The British Dalmatian Club’s Championship Dog show, here we have had a stall selling our festive seasonal goods for many years so our resources were certainly stretched! 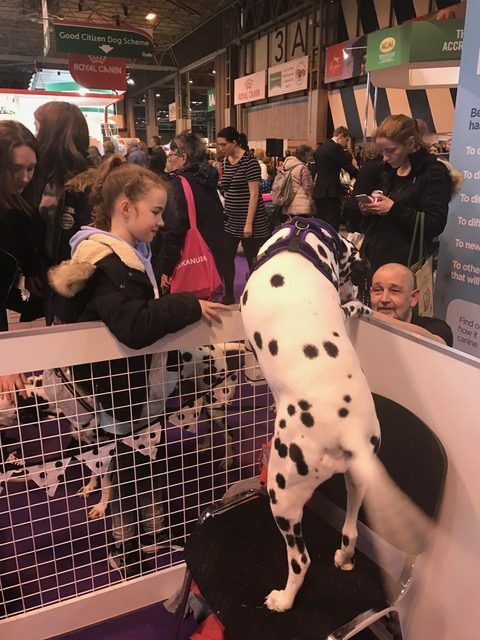 Kerrie Hanlon one of our trustees, her Mom, two children Harry and Nimah and their Dalmatians Dom and Rosie really saved the day, managing the show at the NEC on Saturday. 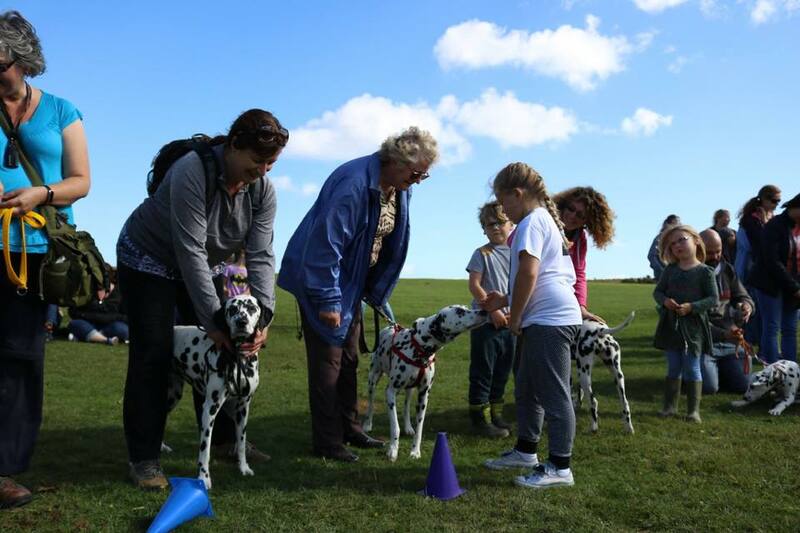 Our team of amazing volunteers included Ian Robinson and his wife Justine and their two Dalmatians DJ and Molly who had travelled from Surrey to supported Kerrie on Saturday. On Sunday morning Welfare stalwarts Paul and Karen Hoskins attended with their two girls Meg and Lucy. 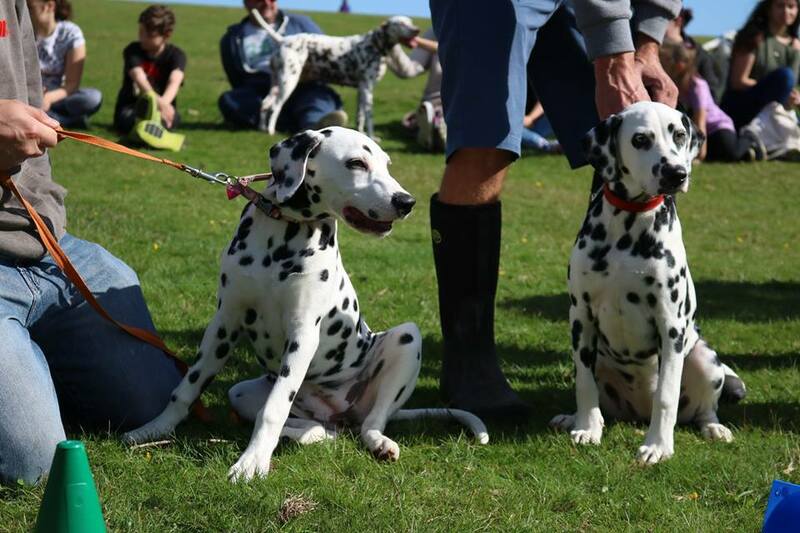 On Sunday Maggi de Rozario trustee and our volunteers Mark Baker and Mizelli Stokes bought their puppies along, Maggie’s Ruby and Mark and Mizellis’ Arlo were the real stars of the show, really attracting a crowd. 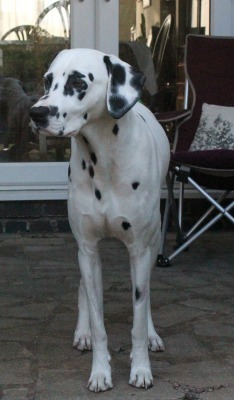 Mizelli also bought her adult Dalmatians Marmite and Kenzie who are now old hands (or paws) at these shows now. 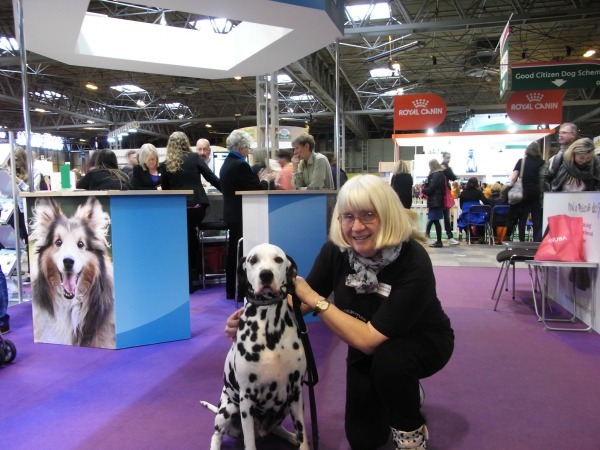 Lovely Marion Wildey, committee member also attended the show on Sunday afternoon and as usual engaged the public and shared her stories and experiences with the breed. 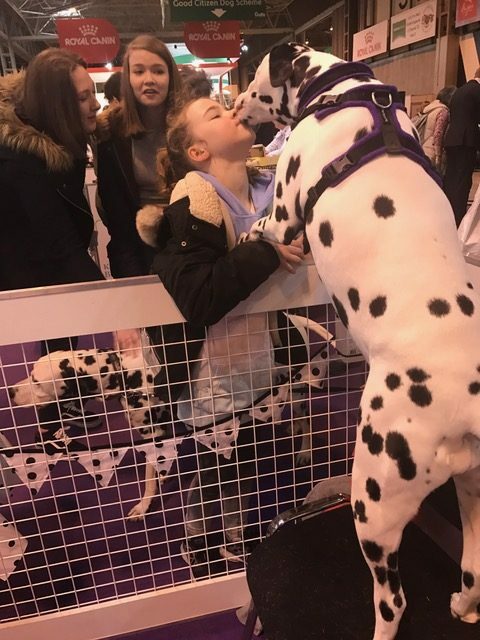 These show are not about raising funds, but more about raising he profile of British Dalmatian Welfare and meeting the public. 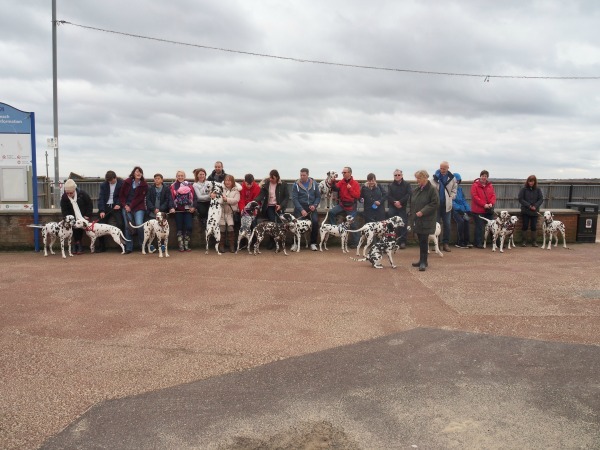 If you would like to come along and meet us at an event near you please see our events page in main menu. 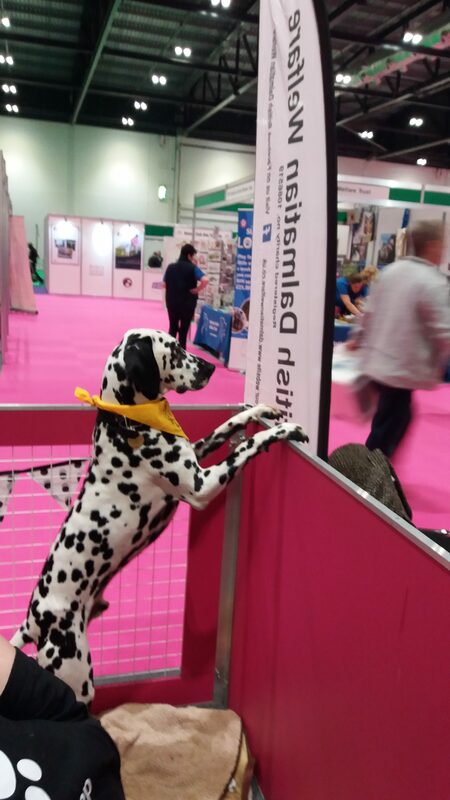 British Dalmatian Welfare were again invited by the Kennel Club to attend Discover Dogs in the Breed Welfare area of their London show held on Saturday 22nd October 2016. 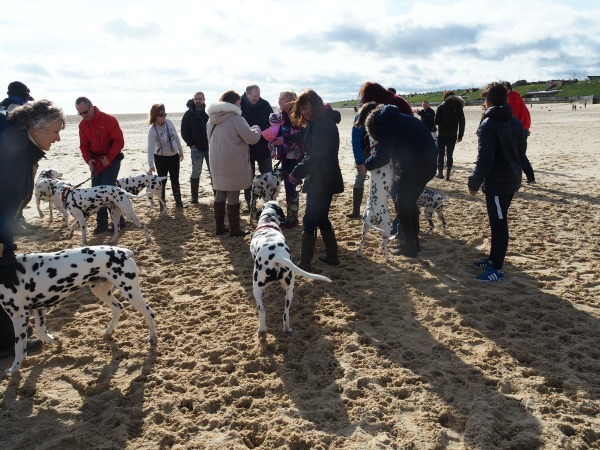 Our team of volunteers were lead by Carol Dolder, her husband John and Dalmatians Louie and Daisy. 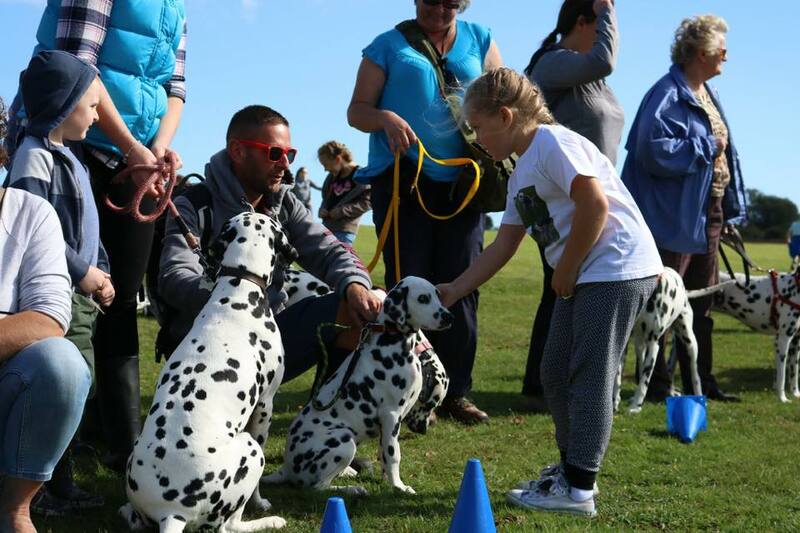 They met the public supported by Clare Wilmey and friend Chris and Dalmatians Oliver and Juno in the morning and Mark Baker, partner Mizelli Stokes and their three Dalmatians Marmite, Kenzi and four month old Arlo who had travelled all the way from Birmingham in the afternoon. 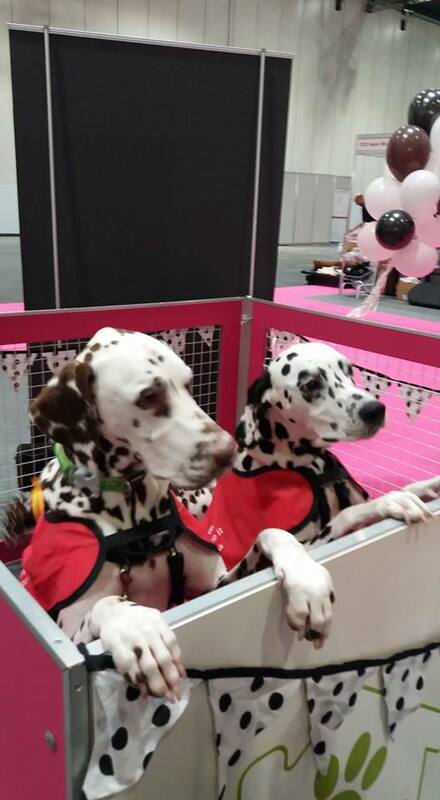 As always the Dalmatians were the stars of the show and the stand was busy all day long. Carols liver spotted boy Louie even got his picture taken with Pete Wicks from T.O.W.I.E.! 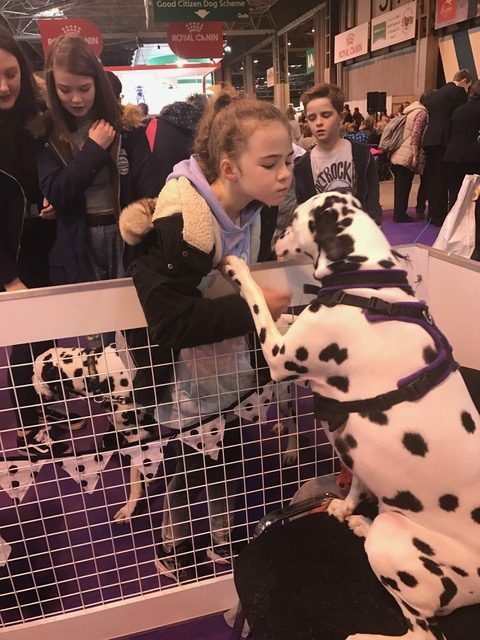 Our team will be together again for Discover Dogs at Crufts NEC Birmingham on Friday 10th March 2017 please see our events page for details. 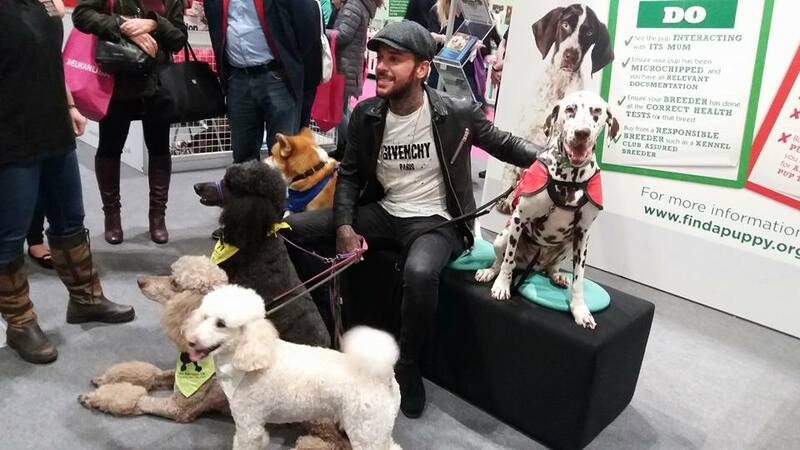 Pete Wicks from TOWIE meets Louie!! 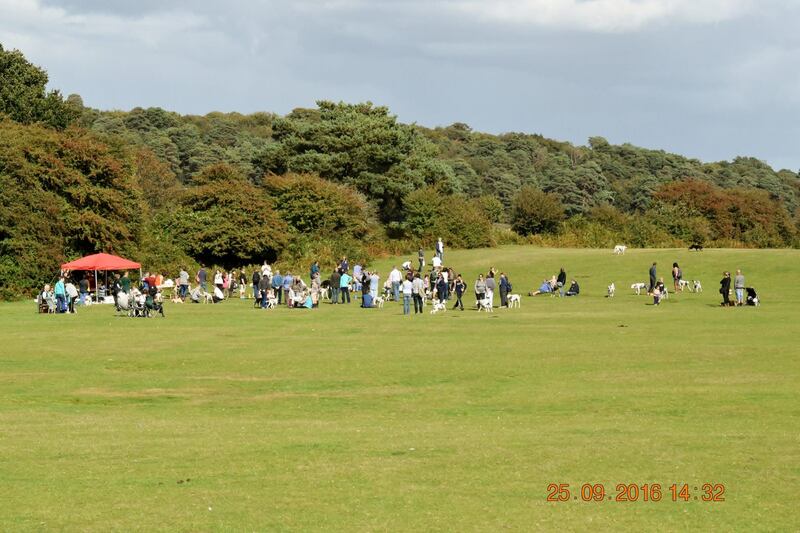 Our trustee and co-ordinator Valerie Bayliss, her husband Paul and Dalmatians’ Cassie and Alfie represented British Dalmatian Welfare at the New Forest Dally Rally today Sunday 2th September. 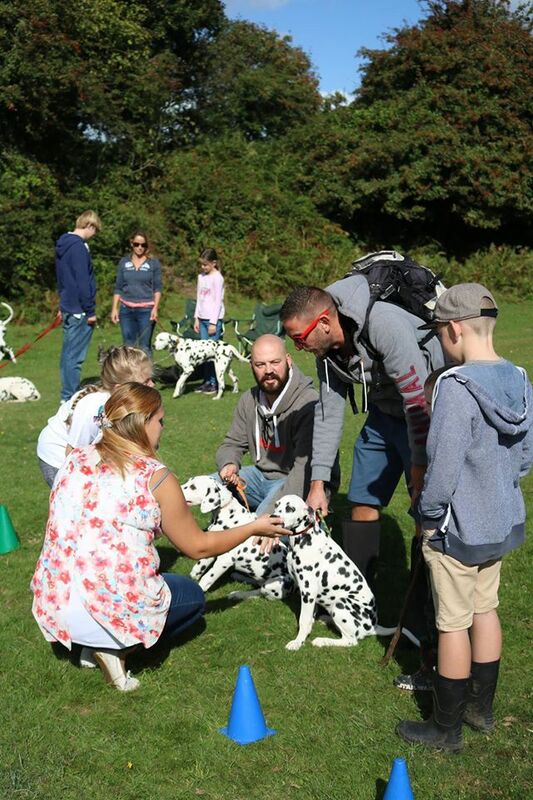 Attracting more than 50 Dalmatians they had a fun dog show as well as their romp around the New Forest. Thanks must go to Mark Hicks who organised the whole thing and to who Amber Marie and Samantha Mace who created and donated gorgeous Dalmatian gifts and pictures! 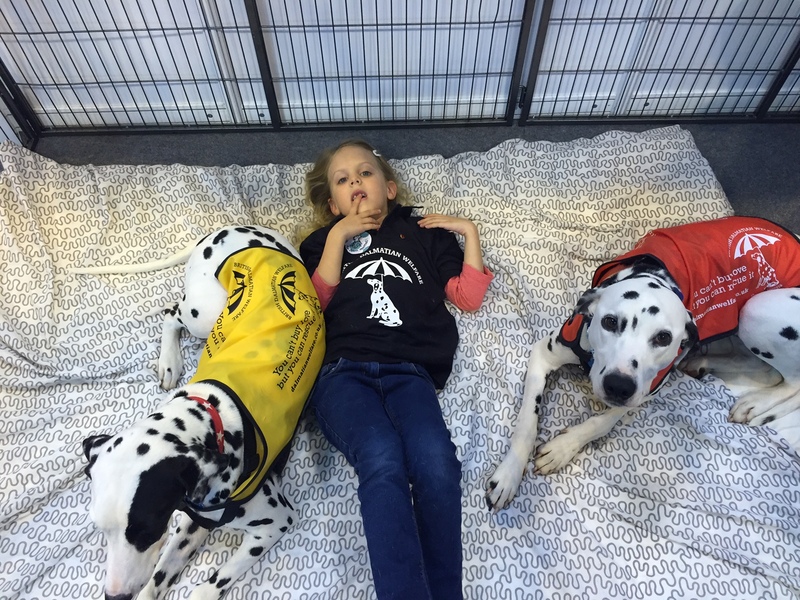 Thanks to everyone who attended and helped us help Dalmatians in need. 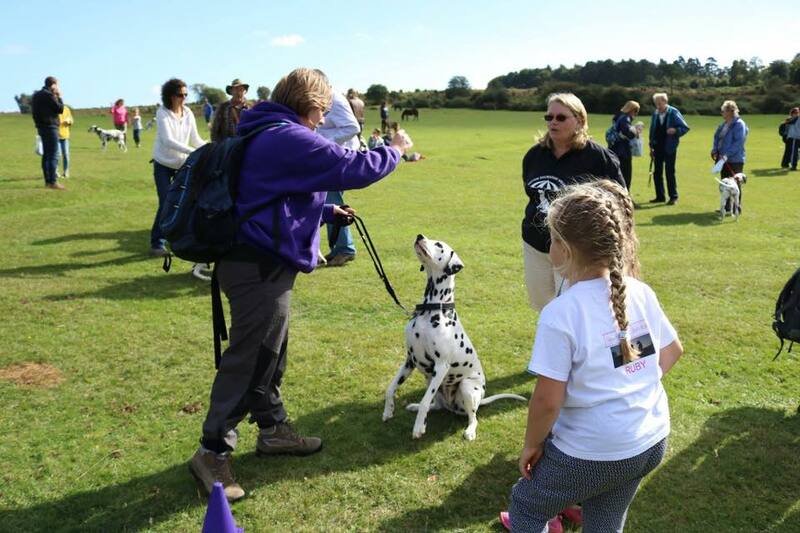 “We had a fabulous day at the New Forest Dally Rally which raised an amazing £312.80 for British Dalmatian Welfare. Everyone had a great time and entered into the competitions. We had some brilliant prizes and we ran a fun dog show judged by the wonderful Ruby who is seven-years-old and an absolute star. 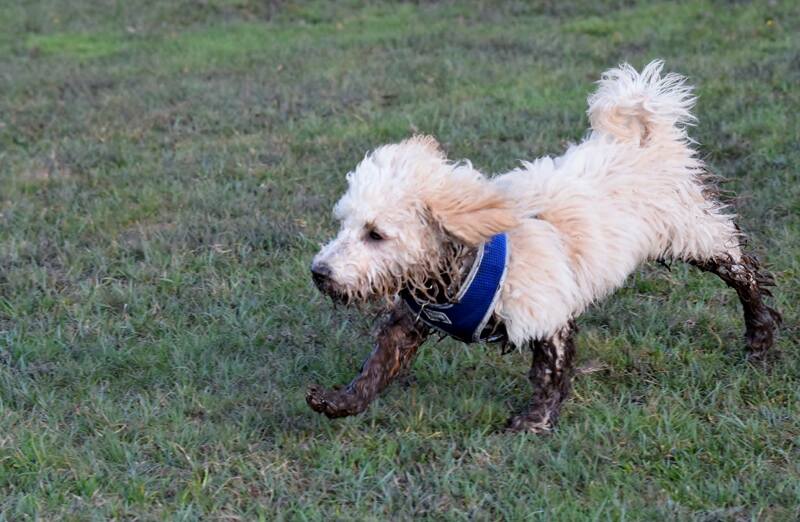 We didn’t do a muddiest dog category but we should have! Have I missed the muddiest spot class? Judge Ruby goes over dogs! 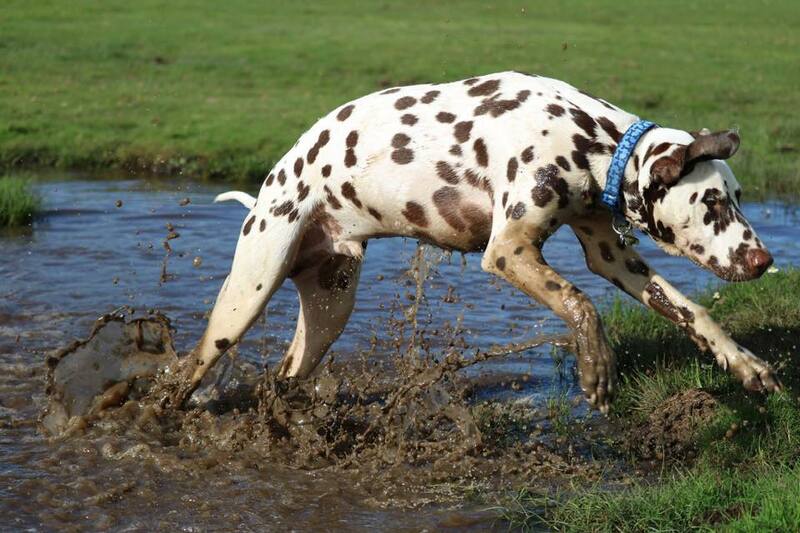 This hound won best non-spot before finding the mud! Harry…why we do what we do! Many of you are kind enough to buy things from our shop or fund raise for us. Some are also kind enough to volunteer to help us with Rehoming. Harry’s story is an example of why we all do what we do. Harry is two. We were contacted by a carer of his owner a few months ago. She explained that the owner was unable to care for Harry any longer and would welfare be able to find him a new home? Following a chat with Harry’s owner our experienced volunteer Paul Hoskins took a look at him. 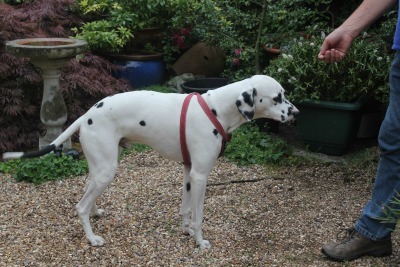 Paul found him to be a delight and a lovely dog whose life was in chaos. It took us a few weeks to find the right home and we finally managed to move him early in August. Paul Hoskins picked him up and planned to meet our next volunteer who would continue the journey to his new home in the southwest of England. After a short time Paul noticed that Harry was trying to pass urine but was unable to do so. 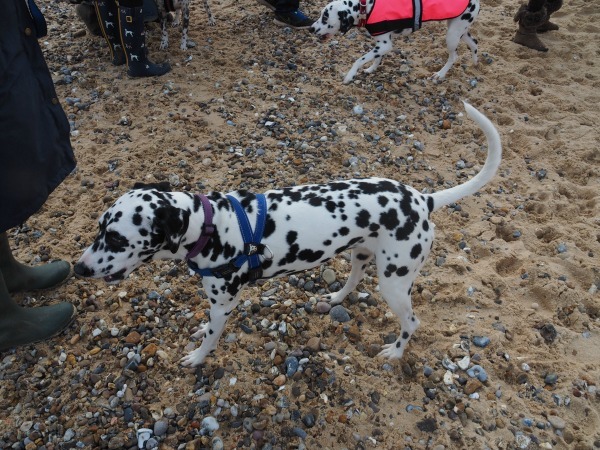 Maggi our next volunteer and committee member arrived to do the next leg of the journey and both Paul and Maggi feared that Harry had bladder stones a condition that most Dalmatians are prone to. Situated at a service station on M1 Paul decided to take Harry to his local vet. Shortly after arriving the vet had passed a catheter and found a bladder full of stones! These stones were trapped in Harry’s urethra and were preventing him from passing urine. An operation and a thousand pounds worth of welfare funds sorted the boy out. As he was too ill to travel Paul and wife Karen kindly decided they would look after him until he was well enough to travel. His adopters were kept up-to-date and were still very interested in adopting Harry. 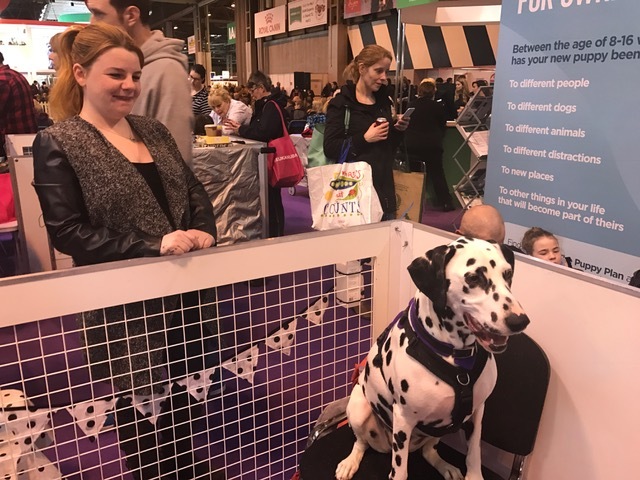 We talked to them about bladder stones in Dalmatians and sent literature about foods to avoid and methods to use to reduce the risk of stones re-occurring. Certain types of protein that cause urate bladder stones to form are to be avoided all together. Harry will be on a diet low in purines for the rest of his life. Harry made a good recovery over the next day or so but then he was unable to pee again 48 hours later, so Paul took him back to the vets who again noted he had more stones many of which would have been in his ureters and kidneys. Once again the vets patched him up several hundreds of pounds of welfare money spent to help this boy. 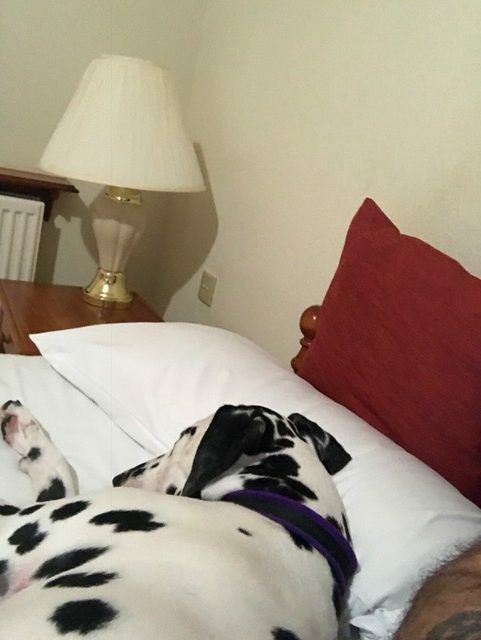 Amazingly Paul and Karen were prepared to have him again until he was able to travel despite their mature female Dalmatians telling off a frisky youngster! Following further checks and more TLC from our volunteers Harry finally moved to his forever-home three weeks later and is now settled in and is a changed dog! 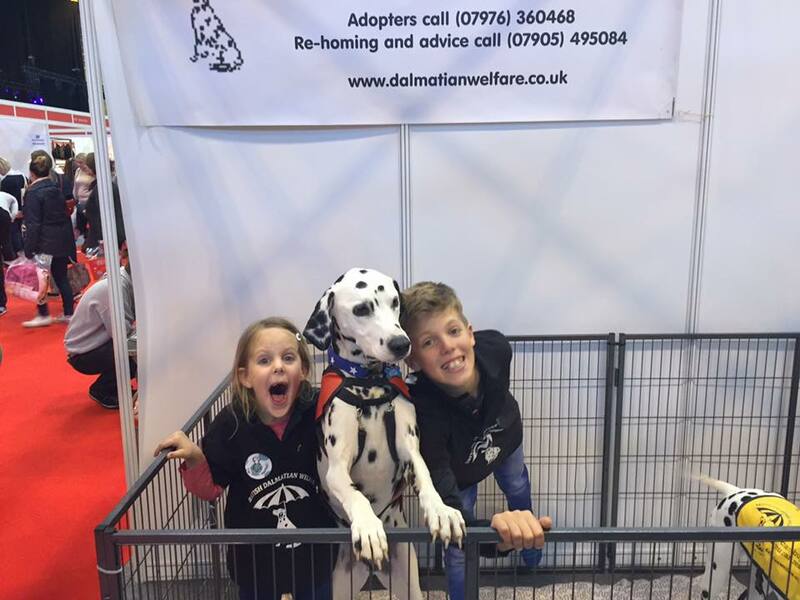 British Dalmatians Welfare only works because of the support and hard work of our fantastic volunteers. 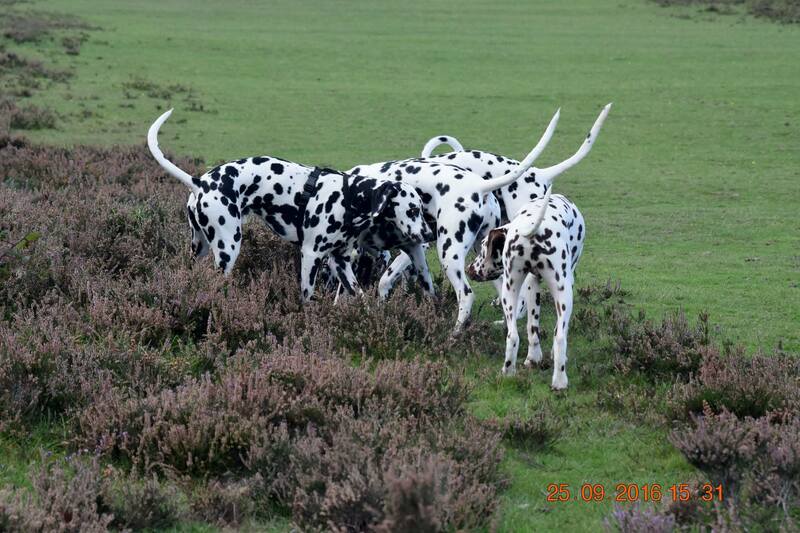 All of whom are “Dalmatianists” and are experienced in the care of our breed. We must also thank Pauls’ vet who gave Welfare a significant discount on Harry’s bills. 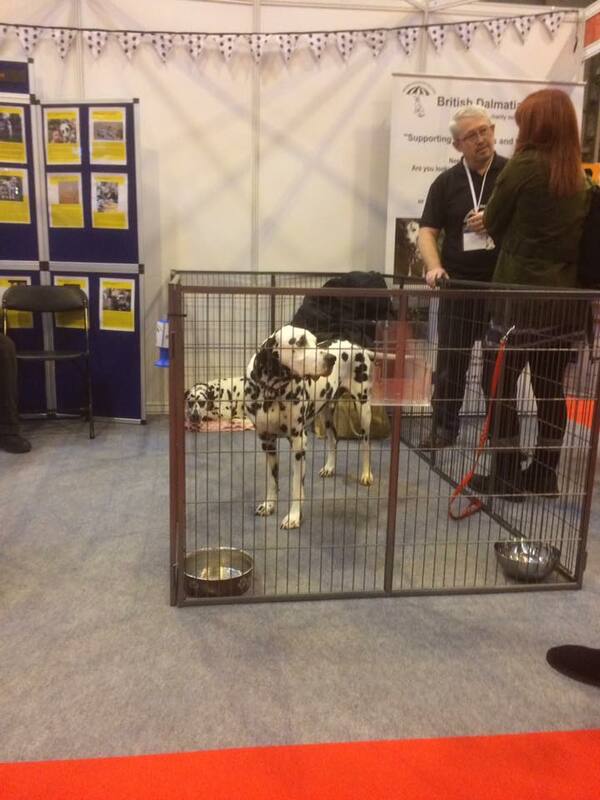 As the breed rescue service we have resources both financial and human to help Dalmatians in need. 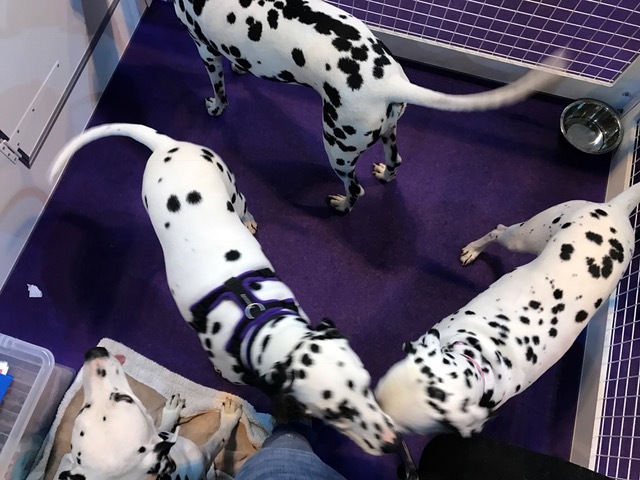 Re-homing is not always straightforward and as well as physical health problems our Dalmatians often need behaviourist input in order to unpick poor socialisation or lack of training. We are always there to help and support.